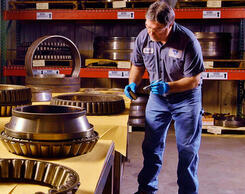 American Roller Bearings is proud to support our quality products with quality services before and after the sale. We have Regional Sales Managers that will work with you to identify opportunities, review requirements, provide training and assist with forecasting and commercial concerns. Our Industry Service Specialists will take it to the next level by providing field services such as; bearing inspections, hands on training and assistance with installation, inspection, maintenance, reinstallation, field repair and/or factory reconditioning. We can provide complete application review by combining the efforts of your operations and maintenance personnel with our design and application engineers. Our Industry Service Specialist’s comprehensive review of the bearings to be inspected or removed from service to determine where you will best benefit from making improvements. This total approach of application, equipment, products and maintenance will lead to American Roller Bearing’s goal of helping you establish the best practices for your specific situation resulting in the best value and return on bearing and maintenance expense through improved performance and reduced downtime. American Roller Bearing can modify existing bearings to meet changing needs, such as adjusting clearances, modifying spacers, adding counter-bores, and more. 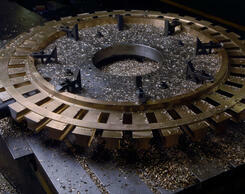 American Roller Bearing provides Field Engineering Services through our Industry Specialists. 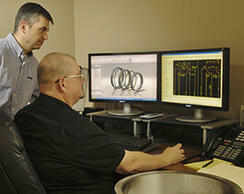 These service specialists can help you get the most out of your critical bearings. Our Industry Specialist can provide training to your maintenance or shop personnel to help extend the performance and life of your bearings. American Roller Bearing Company provides repair and reconditioning services that can extend usable bearing life for increased value and performance. 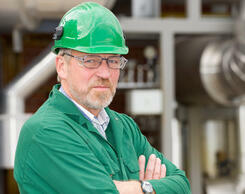 Application Engineers can assist in the field evaluation of your application evaluating; operations, installation, maintenance, and performance.